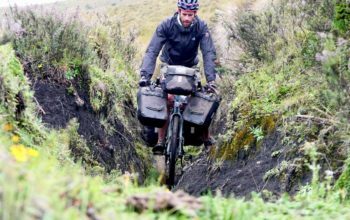 Bombtrack is just five years old… but what they lack in history, they more than make up with their extensive 2018 Bombtrack Beyond touring and bikepacking bike range. 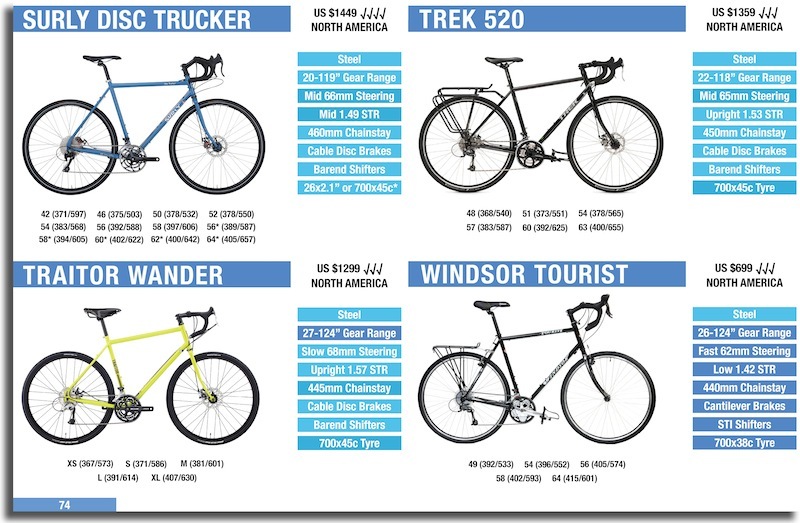 With six different steel bikes on offer, they pretty much cover all of the niche categories of on-road and off-road touring bike. 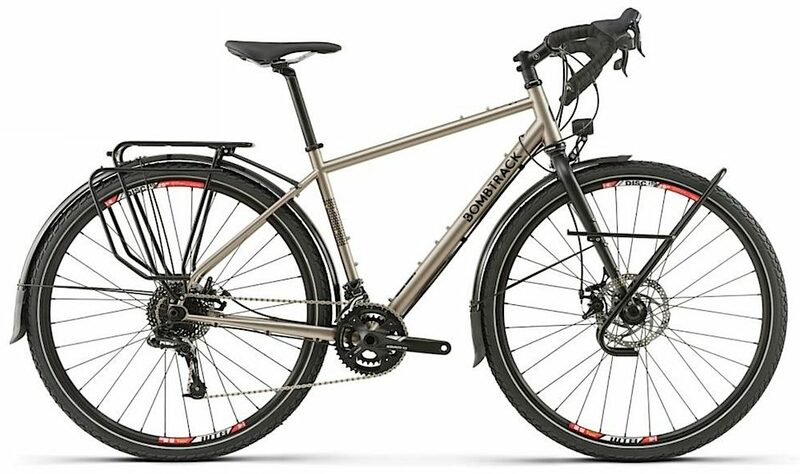 The Bombtrack Beyond XPD is the long-distance touring bike. 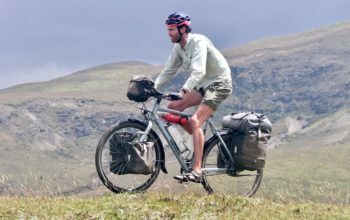 Supplied with front and rear Tubus racks, a SP dynamo hub, Supernova dynamo lights and a full fender set, you know what the intended purpose of this bike is – to cross lots of countries. It has braze-ons everywhere for cargo cages, bidon cages, top-tube bags and more. With the fenders in place, the tyres are 700x42mm, but the frame can easily accommodate 29×2.2″ without. The mix of SRAM road shifters and MTB derailleurs offers a low gear of 22 gear inches that is a climbing speed of about 6km/h at 60 RPM. 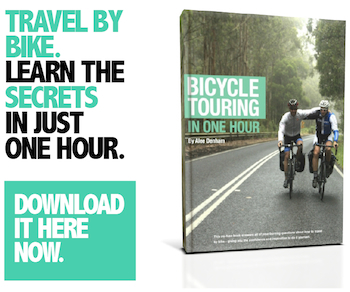 The bike weighs in at 15.2kg – you’ll be able to get one soon for 2,299€. 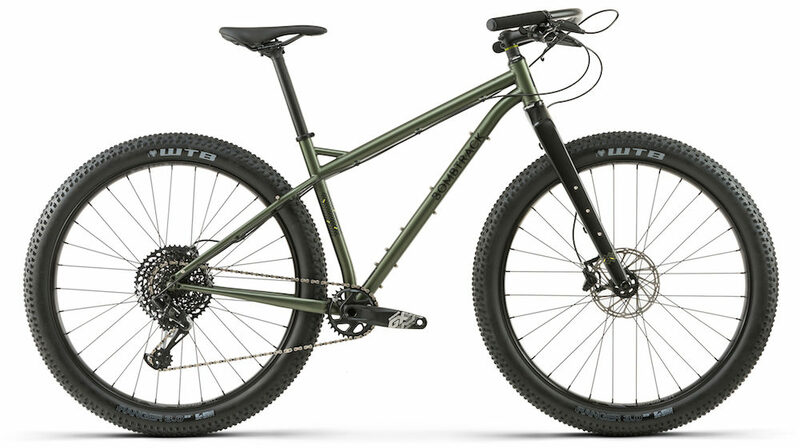 The 2018 Bombtrack Beyond 1 uses the same frameset and a lot of the parts of the XPD, however, it’s set up for off-road adventures. With the stripped back touring parts, it’s some 2.5kg lighter (12.6kg) and 400€ less expensive (1,899€). 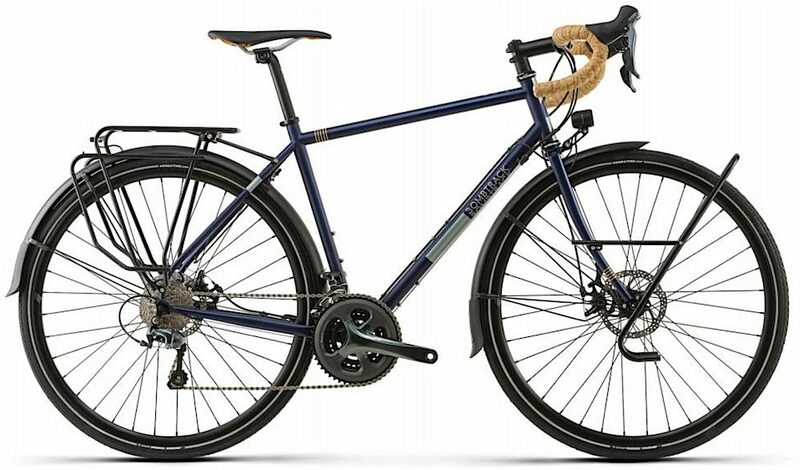 The good thing about the Beyond 1 is that you can dress it up in touring parts when you need, otherwise you’ll have a gravel/off-road bike given the vast 29er/700c tyre options. The 2018 Bombtrack Beyond +2 is a different beast entirely. The 27×2.8″ tyres are designed for maximum grip in all kinds of conditions. It uses a flat handlebar and short stem to get maximum steering leverage, helping to change the bike’s direction with a heavy front load. The drivetrain is SRAM 1×12 with the monster Eagle GX 10-50t cassette up the back. That offers an 18 gear inch smallest gear capable of climbing at 5km/h at 60 RPM – perfect for off-road terrain. 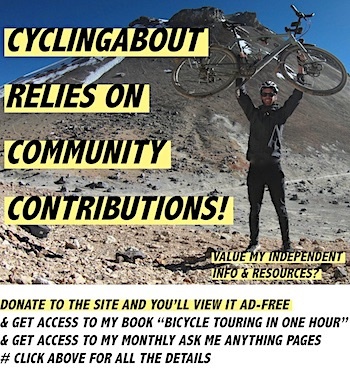 A carbon fork adds to the price but saves a decent amount of weight. 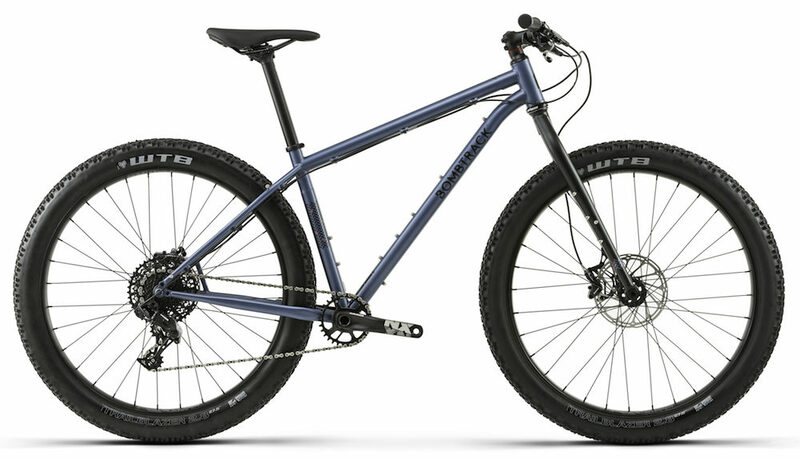 The Beyond +2 works out at roughly the same weight (12.4kg) as the 29er Beyond 1 and will retail for 2,599€. 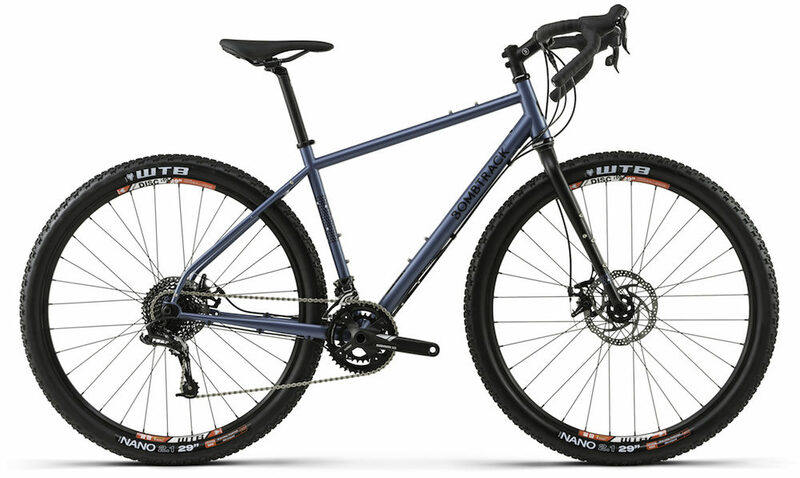 The Beyond +1 is the better value prospect of the plus-series bikes. It shares the same frame as the +2 but instead uses a heavier steel fork up the front. 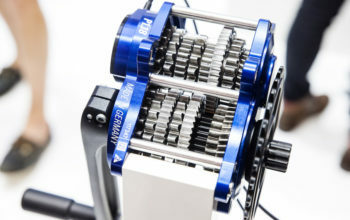 While it still employs a SRAM drivetrain, it’s the 1×11 NX edition which uses a narrower range cassette (10-42t). The climbing speed in the smallest gear is therefore around 6km/h at 60 RPM (20 gear inches). The Beyond +1 hits the scales at 13.5kg and can be yours for 1,999€. If the above 27+ bikes are like jacked-up jeeps, the 2018 Bombtrack Beyond ADV is the monster truck of the range. It uses 29×3.0″ tyres that offer unparalleled traction and ability to roll over rough terrain. The Beyond ADV is essentially the same specification as the Beyond +2 as it has a full carbon fork and SRAM Eagle GX 12-speed drivetrain. With the larger tyre rollout, the Beyond ADV offers a climbing speed of 5.5km/h @ 60RPM (19″ gear). Interestingly, there’s only a 400-gram weight difference (12.8kg) when compared to the Beyond +2, so if you’re seeking out the roughest trails, this bike will be the pick of the bunch. The 2018 Bombtrack Beyond ADV is 2,699€. Bombtrack surprised me with the new Arise Tour! 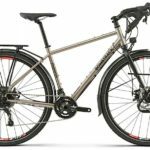 It’s based on their Arise series which are designed for city use, but the Arise Tour is a tweaked frameset that offers a longer wheelbase, longer chainstays, bigger fork offset and lower bottom bracket. 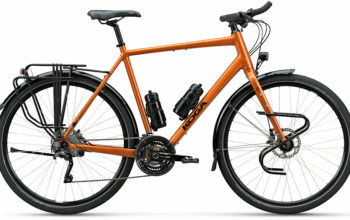 It’s a capable light touring bike if you like, set up with a Tubus rack set, Supernova dynamo lights and full fenders. 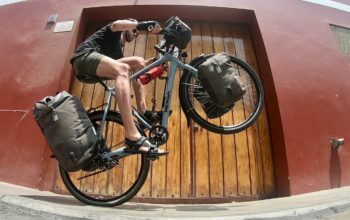 You can expect this bike to be 1kg lighter (14.3kg) and more nimble than the Beyond XPD, perfect if you’re travelling with lighter loads. The gearing is all Shimano Tiagra 10-speed and the brakes are the great TRP Spyre cable discs. The gear ratios are designed for sealed road use so there’s a 26″ small gear which will result in a decent 7km/h climbing speed at 60RPM cadence. The top gear is also large enough to be able to pedal on the descents. You can get the Arise Tour in five sizes for 1,999€.